Are or were there plans to extend Prince William Parkway northwest? IIRC this is one of the proposals for the Tri-County Parkway. It's listed as a proposed VA 411 in the 2001 VDOT route log, source: VA Hwys Project. I really don't like that choice of number, but it doesn't really matter as it isn't likely to happen any time soon, if at all, due to public opposition. Latest CTB minutes and resolutions are posted. Not much worthy of note this month, but frontage road F-100 in Henrico County has been decommissioned. There are also some changes to VA 28's intersection with Steeplechase Dr in Loudoun County. Per a good friend of mine, Virginia Beach has done some rearrangement of signage in the city limits. As a result, VA 408 is no longer signed (which is correct, as it was decommissioned a few years ago). However, VA 225 is now erroneously signed on Great Neck Road southbound, part of which is actually VA 279. I'll hopefully get pictures from him in a couple days. The next phase of the John Rolfe Parkway is scheduled to open today. This is a short segment (probably not even half a mile long) connecting US 250 with Three Chopt Rd in the Short Pump area. IIRC, the next segment to be completed after this will be the Three Chopt Rd to Pump Rd segment. All the traffic signals are installed but they hadn't begun paving yet when I was over there a couple weeks ago. Officials since 1998 show a proposed extension of VA 37 southeast across US 522 to US 17-50. If VA 37 is extended southeast to US 522 or US 17-50, will any of those routes be put on the highway to bypass Winchester? 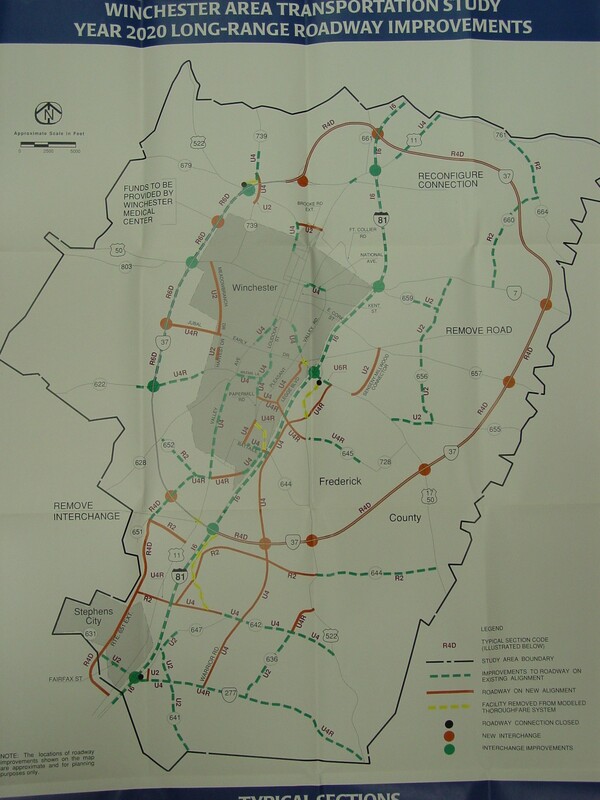 This mentions that VA 37 will be extended slightly east of I-81 as a result of this project. The 6-year Improvement Program lists this VA 37 project, which looks to be a full loop east of I-81 all the way back up to I-81 to form a complete VA 37 loop. Only preliminary engineering is included in the project, it appears. Perhaps this will shed some light on things. It's Winchester's long range plan from ca. 2000, where they envision a full-loop VA 37. The tie-in on the north end would be about halfway between US 11 and US 522. The Virginia 158 page on VAHighways indicates two former alignments of Virginia 158 and the current 2.41-mile route in Wise County. However, Bing Maps and the USGS Quad show VA 56-158 overlapped between Colleen and Piney River. Was there a third decommissioned alignment posted between 1943 and 1999? Upon review, yes there was a third, decommed VA 158 (briefly mentioned on both the VA 56 and VA 151 entries). It was created in 1947, when US 29 was moved to its present-day alignment between Amherst and Colleen. It followed the former alignment of VA 151 west of Shady Lane to US 60 (VA 151 was thus rerouted along old US 29 to the present-day US 29/VA 151 intersection), then the former US 29 alignment east of Shady Lane/VA 151 to Colleen. You can see maps of the change under the VA 150 #1 entry. In 1954, the stretch west of VA 151 was dropped, becoming today's SR 778. 1970 is when the rest of VA 158 (between VA 151 and US 29) was renumbered to VA 56. I'm not sure when that USGS Quadrangle was created, but if it was around 1970 (entirely plausible), that would explain why it shows both 56 and 158. And Microsoft conveniently fed on that for the Bing map. As far as I can tell (and looking at the CTB minutes), there was never a 56/158 duplex...it simply switched from one route number to the other. Have you guys seen this page? 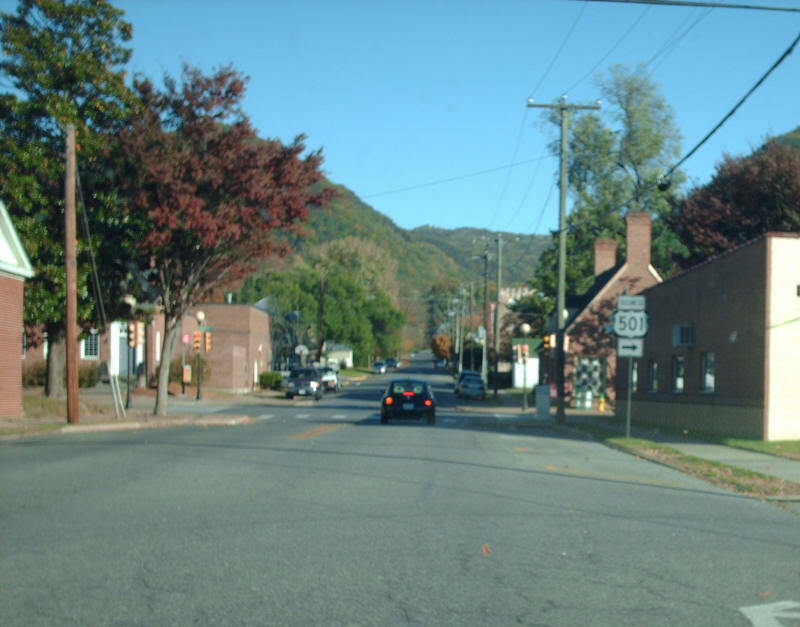 A Virginia Department of Transportation (VDOT) report on the future of U.S. 29 will recommend the consideration of two new roads in the Charlottesville area. The first would extend the University of Virginia’s Leonard Sandridge Road using some portions of the right-of-way previously purchased for the U.S. 29 Western Bypass. The second would connect U.S. 29 to the 250 Bypass via a partially elevated roadway near the Kroger at Hydraulic Road. Springer said the idea of a four-lane limited access Western Bypass is "no longer an effective option to serve corridor-wide trips." However, he said the study would recommend that the right-of-way, currently owned by VDOT be considered as a possible transportation corridor to serve local traffic.. He suggested this could take the form of an extension of Leonard Sandridge Road. The commercialized hell that is US 29 between the US 250 bypass and the South Fork Rivanna River is such a pleasure to drive! "The idea is to extend the parallel road system that comes out of Places29 and taking that down to Route 250," Springer said. Springer said the study will recommend three potential alternatives for the extension. Alternative 1 would connect Leonard Sandridge Road to the intersection of Georgetown Road and Barracks Road along a new route. Alternatives 2 and 3 would both follow portions of the Western Bypass route, with one connecting at Hydraulic Road near Albemarle High School and the other connecting onto Earlysville Road. "It would not function as a bypass but would serve local traffic," said Charlie Rasnick, a retired VDOT engineer who is working on the study. He said the idea was to extend the parallel roads concept. VDOT began purchasing parcels of land along the bypass’s route in the mid-1990's and has spent $33.7 million to acquire at least some of the right-of-way. State law requires the agency to begin selling back those parcels twenty-years after the original purchase date if they are not used. Haven't seen that page specifically, but I have read up on Places29, which discusses both the parallel-roads concept and improvements to 29 itself. In 2004, US 501 was realigned slightly in Buena Vista, following the former US 501 ALT alignment along Sycamore Ave. Old US 501 along Magnolia Ave became BUSINESS US 501. Looking at GSV, the split of U.S. 501 and U.S. 501 Business heading north along Magnolia Avenue at the wye with Sycamore Avenue is signed, but there is no coverage of Sycamore north of there, and no shielding at all along Magnolia north from there. When I drove through in 2005, signs directed me southward along Beech Avenue. The U.S. 501 shields were coupled with "Truck Route" signs as well. So does U.S. 501 remain along Beech Avenue south from Park Avenue to Sycamore Avenue, or does it turn onto Park Avenue east to make the connection to Sycamore Avenue south? Also, I noted no shields for Business U.S. 501 at Beech and Park or along Park Avenue itself within the immediate vicinity. Both Bing and Google continue to show the old alignment along Park and Magnolia Avenues as U.S. 501 alone. On the US 29 proposal: Outside of redoing the US 250/US 29 interchange, I don't see how that proposal would really relieve traffic that much(even local traffic) especially north of the immediate Hydraulic Rd area. http://www.millenniumhwy.net/2008_Richmond_trip_Day_3/Pages/545.html and the next page (/546.html) show signage but there are no other clues as to routing. It should be noted that Buena Vista is an independent city. Need I say more about signage practices? 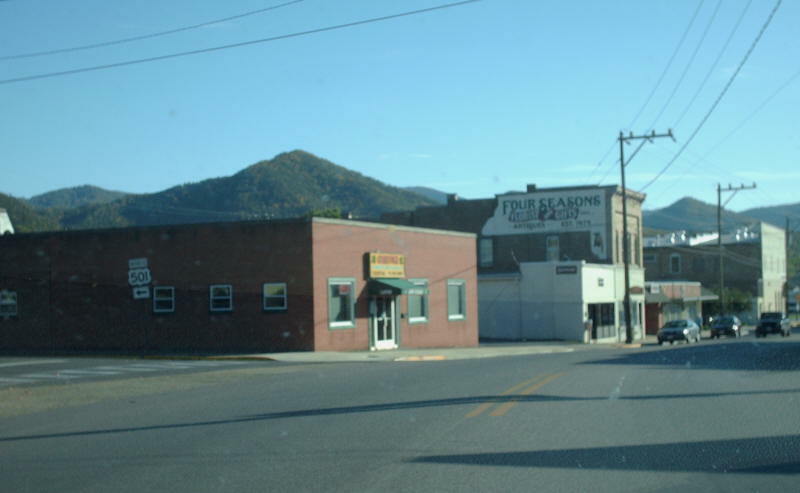 US 501 Business in Buena Vista is posted heading SB on the rerouted US 501. US 501 Business leaves Sycamore at 22nd, cuts over to Magnolia and heads south. The VDOT on-line map still shows the old alignments, even the south end which is physically different from before. I just did a hand search of CTB minutes from 2002-2004 and there was no mention of any changes. I can't recall if 501 SB was posted to turn onto Beech when I first visited in the mid 90s. It is definitely not posted to do that now. Here is Sycamore at 22nd, followed by 22nd and Magnolia (pics from Oct 2008). These postings were still there last time I visited, in Dec 2009. I did not even realize that Virginia 381 signs were taken down until reading this. Reviewing some photos Andy took in May 2007 and some photos I took in July 2005, sure enough, they were all gone. What was the logic in this? I can understand the multiplex south of Euclid on Commonwealth, but the continuation of I-381 as VA 381 to US 11-11E-11W-19-421 made sense. You'd have to ask the city of Bristol...it's their jurisdiction. Due in part to the earlier discussion, I updated the VA 158 #3 entry this evening, as well as a few other route entries. Regarding Buena Vista confusion, there is a history in Virginia of changing route signage and going a long time without making the change formal in the CTB or elsewhere. For instance, US 17 Bus in Fredericksburg was rerouted in the field in the early 2000s but not on any document I've seen. Another example is the creation of US 60 Truck in Lexington. The longest lived examples I can think of are the US 60 END sign in Virginia Beach (if the intent was to move 60 onto Pacific all the way) and the US 60 duplex with itself in Newport News, which has been around awhile but is not reflected in documents. VA 31 wasn't officially truncated out of Camp Peary until the late 60s even though it was closed to the public during WW2 IIRC. VA 113 was also fully deposted in Bristol based on all reports I have seen. I'm going to try to get out there this summer to see if I can find a stray shield. As I advocate in the upcoming update to the 381-400 page, VA 381 could either be Green I-381 or US 19 (which should also replace VA 140 - US 19 is a through route and could easily behave like US 58 in this area).